25 tiles from Johnson Brothers china plates. 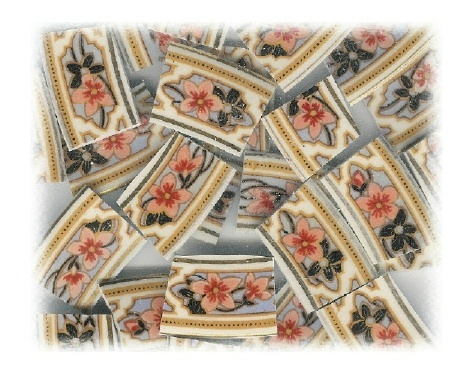 Peach flowers, black flowers, blue & black & gold accents, gold rim on off-white china. All rim tiles.